I’ve had e-mails from readers wondering if Coorah Creek is a real place – one even went so far as to say she wanted to go there for a visit. You have no idea how thrilled I am that the town seems so real. 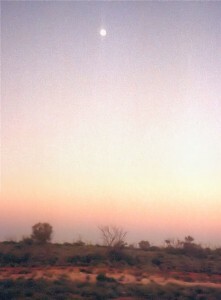 Coorah Creek exists only in my head – and my heart. But despite that – I know exactly where it is on a map of Queensland. The town itself is based on the small town where I grew up – which is a long way east of Coorah Creek. It was a grain growing area – with cattle properties in the places too steep or too dry to cultivate. 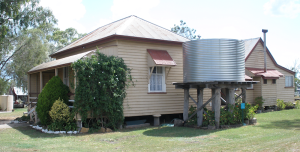 My home town had no running water, one pub and a one teacher school. There weren’t many houses in the town – but what it had was heart. 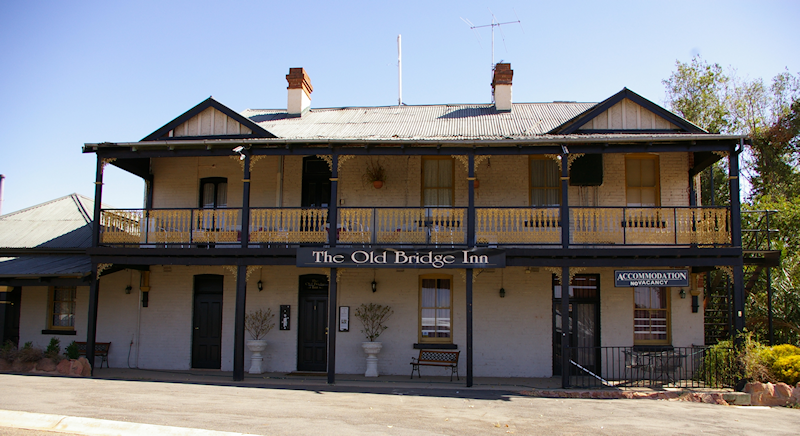 The Old Bridge Inn at Gundagai, NSW. The Coorah Creek pub is not as well kept. The people of the town and the surrounding properties were… interesting. Perhaps a little eccentric. But they were a community – neighbours in the best sense of that word. When one of us broke down or got bogged after the rare rainstorms, someone would be along in minutes to help tow the car. If there was a fire – people appeared as if by magic to help out. 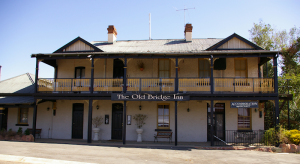 Gundagai, NSW. Coorah Creek would look similar, but with no trees. I once bought a new horse – who bolted within seconds of being unloaded at our gate. She was young and fit and unbroken. 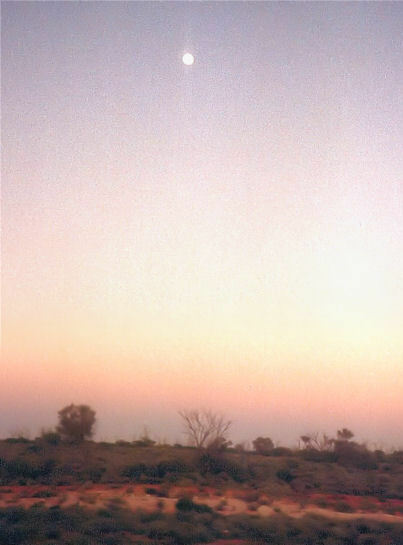 I saw her vanish over a ridge – and was certain I’d never see her again. A few minutes later, the phone rang. A neighbour had seen her and was trying to find her owner. She was back safely in our yards before dark. In my Coorah Creek novels, I try to capture that sort of community spirit. As for the town itself… When I wrote Flight to Coorah Creek, I knew I would be coming back to it again and again. The town has too many characters and too many stories for just one book. So I took a map of Queensland – and found a place with water, and rugged red cliffs. I drew in a couple of roads, and then built my town where those roads met. 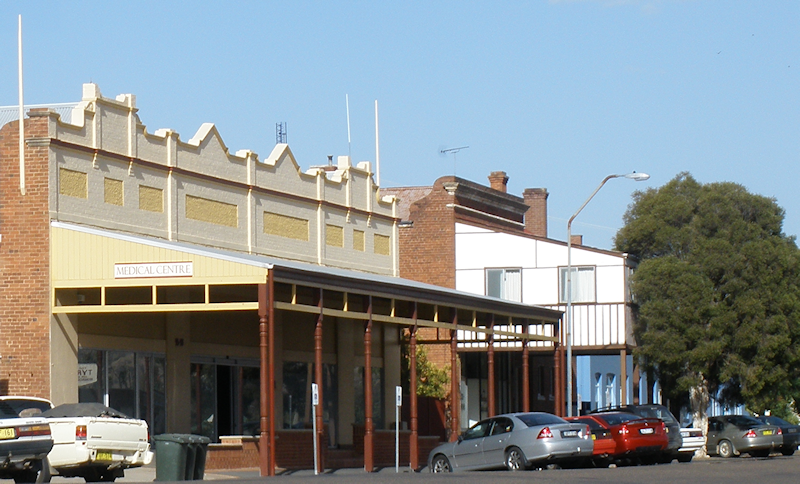 So this is Coorah Creek – it’s a small town – but one I hope you’ll keep visiting. Sunset at Coorah Creek would look a lot like this.